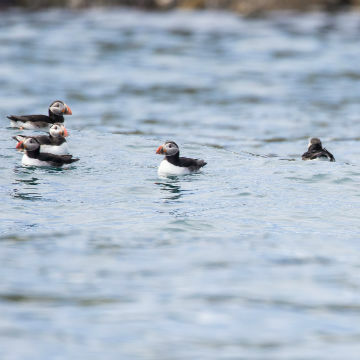 • Highlights: close up tour of Old Man of Stoer Sea Stack and Sea Birds on Spectacular Handa Island Great Stack Sea cliffs. Leaving from the Kylesku slipway we make our way past Oldany Island to the spectacular Old Man of Stoer. Standing 60 metres (200 ft) tall it is has become a popular climbing challenge. Made of Torridonian red sandstone the Stoer is now home to several nesting seabirds. Next, we cruise to the seabird city of Handa Island for a coastal, non-landing tour by boat. 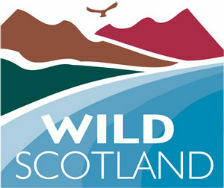 Run by the Scottish Wildlife Trust Handa is now a Site of Special Scientific Interest. 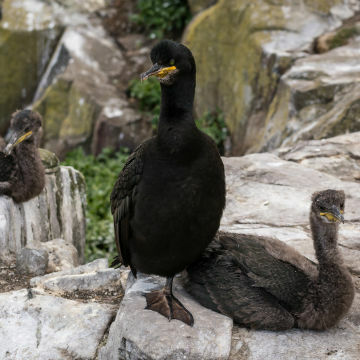 It is home to some 200,000 breeding birds including Puffin, Guillemot, Fulmar, Razorbill, Shag and Great Skua making it one of the UK’s more important seabird breeding stations. 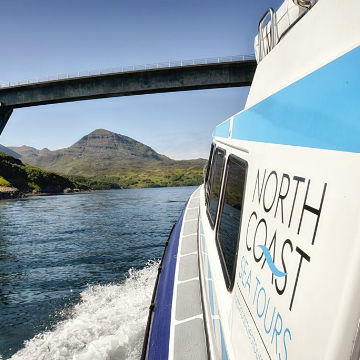 We will have the rare opportunity to view the cliffs and seabirds at close quarters. 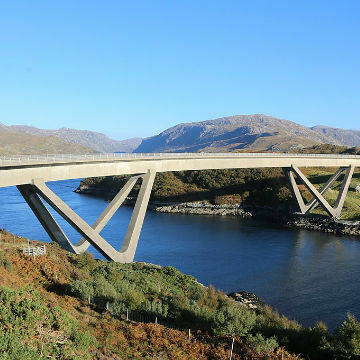 There was once a thriving community on Handa, which sadly was evacuated due to a potato famine in 1848. In ancient times the island was used as a burial place, and the remains of an old chapel fondly known as ‘the Temple of the Beach’ still exist. Handa lays claim to its own stack, ‘The Great Stack of Handa’. Appropriately named the stack stands 70 metres above sea level. Nestled in between two of Handa’s sheer cliff faces it has become a legendary climbing challenge. 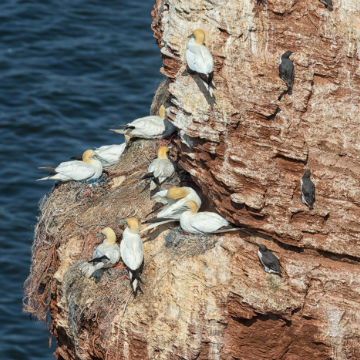 Climbing is only feasible within the winter months as the stack is heavily populated by nesting seabirds from April – September. 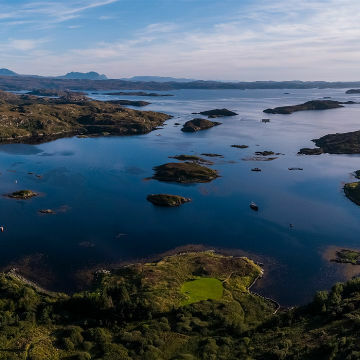 Our return route to Kylesku takes us through the secluded Badcall bay, designated as Scotland’s first ‘Global Geopark’ for its outstanding natural beauty! Next, we cruise to the seabird city of Handa Island for a coastal, non-landing tour by boat. 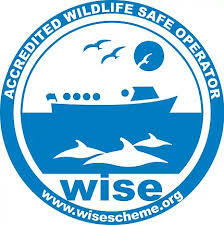 Run by the Scottish Wildlife Trust Handa is now a Site of Special Scientific Interest. 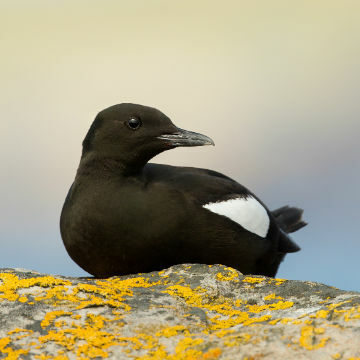 It is home to some 200,000 breeding birds including Puffin (April to Early August), Guillemot, Fulmar, Razorbill, Shag and Great Skua making it one of the UK’s more important seabird breeding stations. 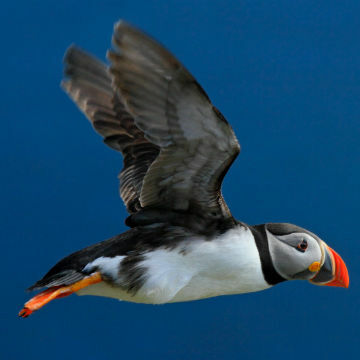 We will have the rare opportunity to view the cliffs and seabirds at close quarters. 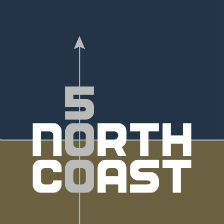 We have been visiting the area annually for 30 years. This has been our first opportunity to view the mountainscape, sea cliffs, and stacks from the sea. Handa lays claim to its own stack, ‘The Great Stack of Handa’. Appropriately named the stack stands 70 metres above sea level. Nestled in between two of Handa’s sheer cliff faces it has become a legendary climbing challenge. 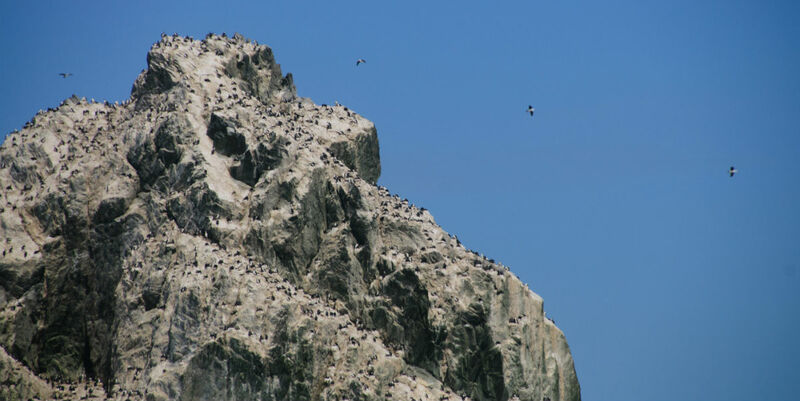 Climbing is only feasible within the winter months as the stack is populated by nesting seabirds from April – August.